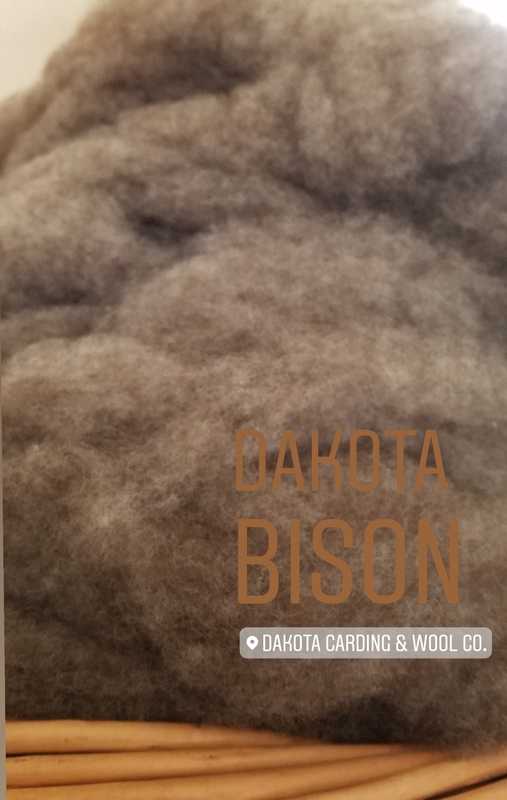 Dakota Bison carded wool cloud is comprised of natural, gray, Cormo wool from the Gillette, WY area and Bison down harvested in MT. 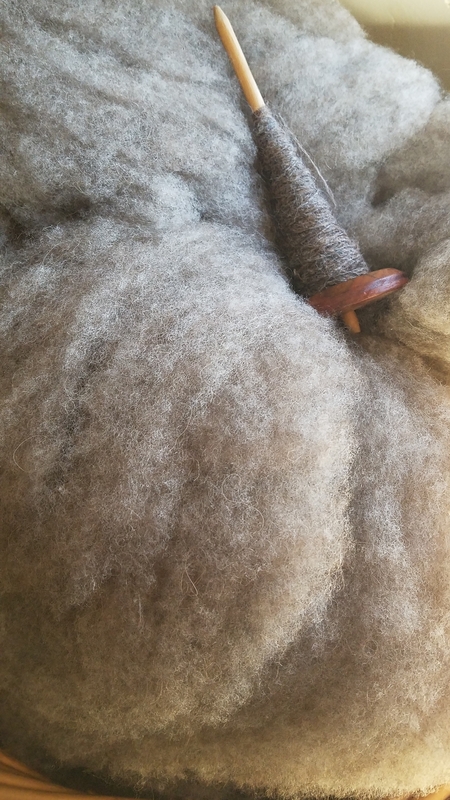 The bison fibers are sheared from bison who are raised for market. I wash the bison fibers, let them dry and card to remove most of the guard hairs. 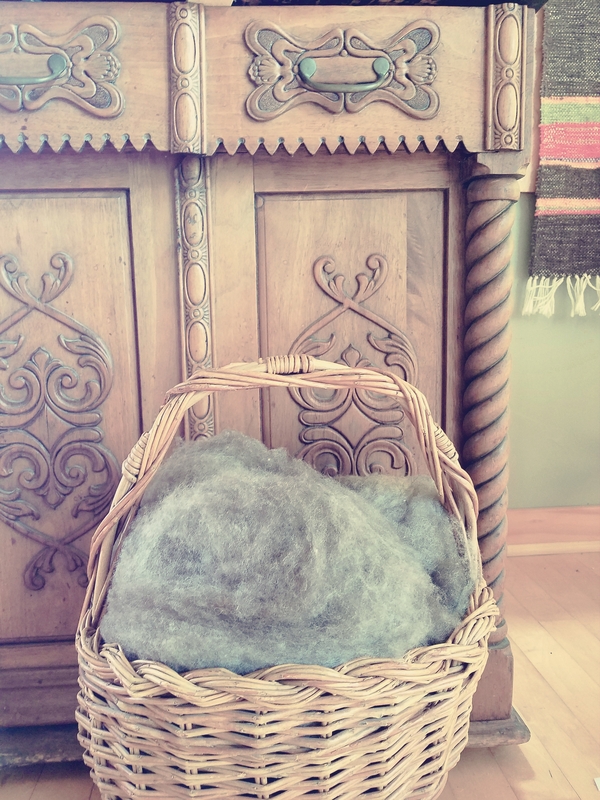 The natural colored Cormo wool locks were gently washed and then hand blended with the natural brown bison down. 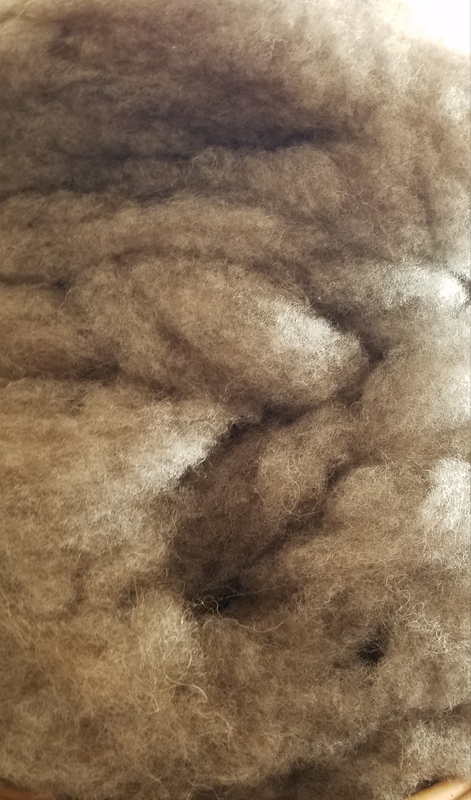 In the next step, I card the fibers together by feeding them through our industrial carding mill which produces the carded cloud pictured in the photos. Pure and simple washing and carding of these fibers gives you an easy to draft, airy preparation great for spinning a woolen style yarn. 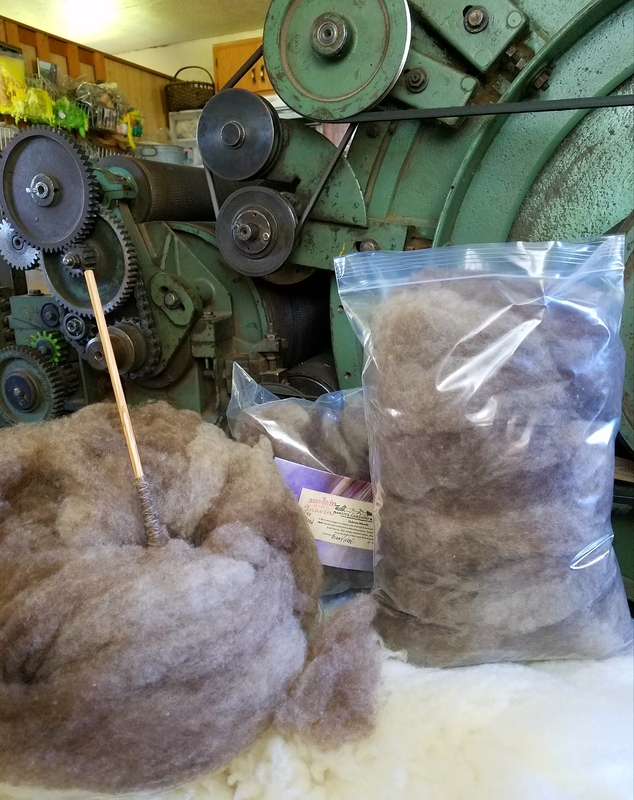 This wool is meticulously raised for its handspinning quality and carries the shorter bison down in a 50/50 blend of spinning bliss. The wool and bison down are washed with biodegrable soap and carded without chemicals or oils. Gentle processing here at our mill ensures the fibers retain their unique characteristics. This Biotayarns© Dakota blend, carded-cloud is ready to ship as a 4 ounce quantity. Handwashable. Local Wool: a totally renewable resource.